As mines become deeper and as geotechnical problems become more acute, the need for a system to support, record, and communicate geotechnical interpretation based on a multiplicity of data streams, at a greater data flow &amp; volume, and with real-time data access is imperative. Geoscience INTEGRATOR was originally conceived to accommodate the data management needs of SUMIT, a multi-disciplinary, collaborative research programme involving academic institutions, mining companies, SMEs and managed through CEMI. SUMIT required a comprehensive data management system to facilitate researchers’ needs to solve complex problems through collaborative analysis and interpretation of underground mine data and associated metadata. 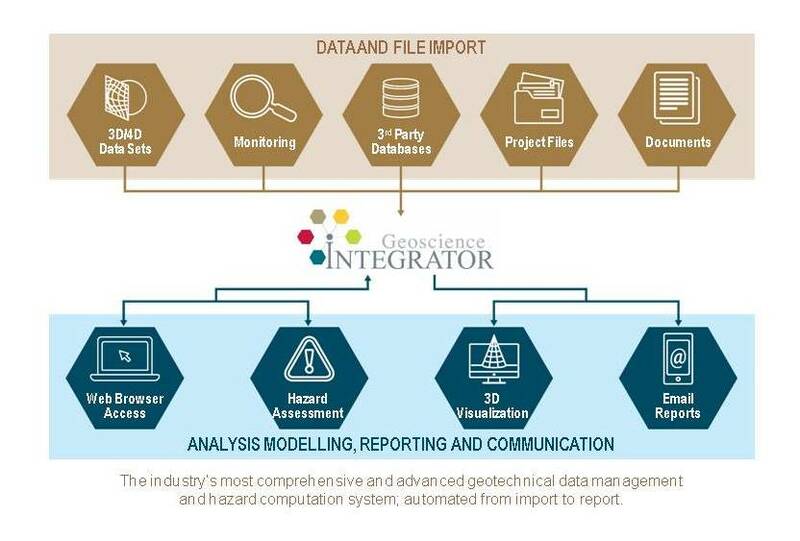 Geoscience INTEGRATOR, having met its original objective to “provide SUMIT researchers with user-friendly access to mine datasets and their contextual information, to facilitate and optimize research efforts”, continues to evolve. Within the follow-on “Mining Observatory Data Control Centre” (MODCC) project at CEMI, exploration data themes and a powerful 3D visualization and query interface were added. With inspiration and initial funding originating from SUMIT, Geoscience INTEGRATOR has evolved into a significant going concern. Although it will be released commercially in October 2016, it already has 2 major pre-release commercial contracts, 6 new permanent full-time software development positions, and 1 senior consultant position at MODCC (permanent). It is the data repository for SUMIT and Footprints project, the data management system for MODCC and is the foundation of the UDMN R&amp;D system at Glencore’s Nickel Rim South.